It is very detailed and from weekly – annually it is split into room categories which allows for easy viewing. 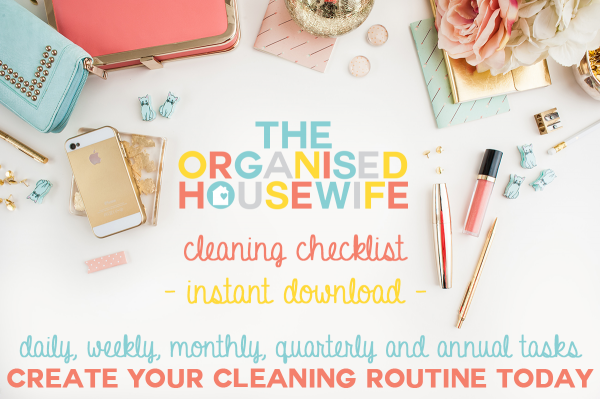 Each task has a checkbox, as we all love to put a big tick next to tasks we have accomplished! Laminate list pages to use like a whiteboard, rub off with a tissue to start again next week. Extra spaces are available for you to write in your own personal tasks. 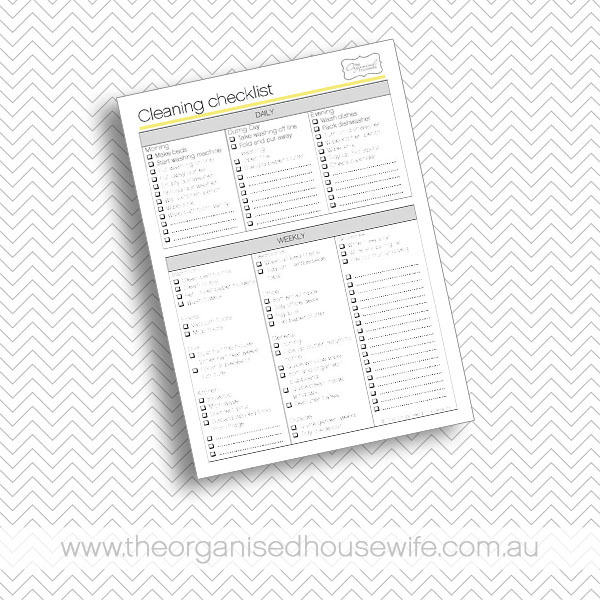 This checklist is available for a small price of $4.95 available in my SHOP, click HERE. Is this not available anymore as I can’t access it? hi. i purchased one of these printables yesterday and i checked that the payment went through (and it did) i was wondering how i receive it??? can I still purchase this chart? or is it too late? Great article do not forget to book a gutter cleaning service</a also to protect your property from damp and water damage.